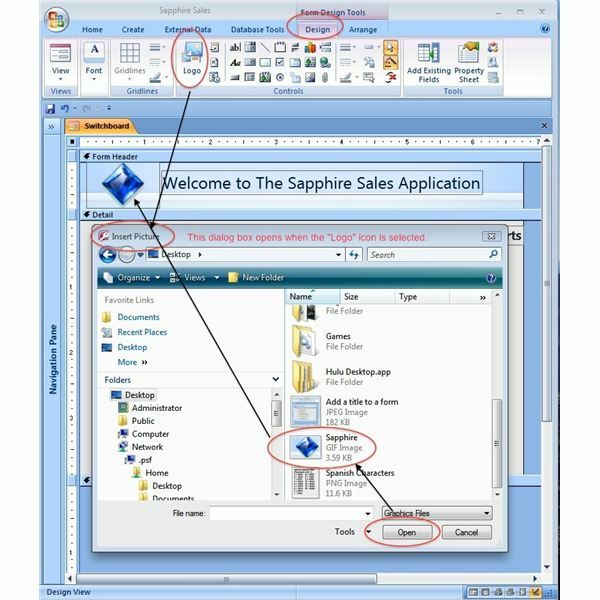 ♦ With your switchboard form in the Design View, click on the Title icon in the Controls Group. ◊The Form Header section will open with a highlighted text box. Enter your form title. ♦ Open the form in Design view. ♦ Click on the Logo icon in the Controls Group. ♦ The Insert Picture dialog box will open. ♦ Select the graphic file. The graphic file will appear in the Form Header. ♦ Follow Step 3 in the Bright Hub Article, “Create an Application with a Custom Switchboard." Step through the the Command Button wizard until you reach the dialog box illustrated in the screenshot below. 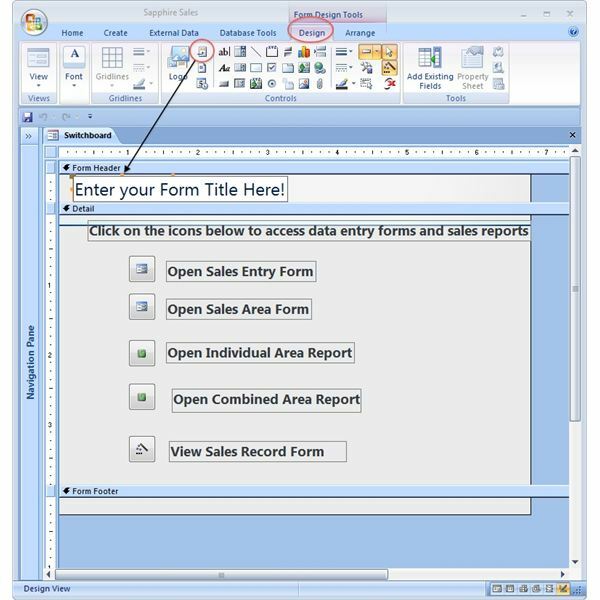 ♦ Select a built-in Microsoft Access button picture. (Note: You can select one of your own by clicking on the "Browse…" button and add a .bmp file stored on your computer. 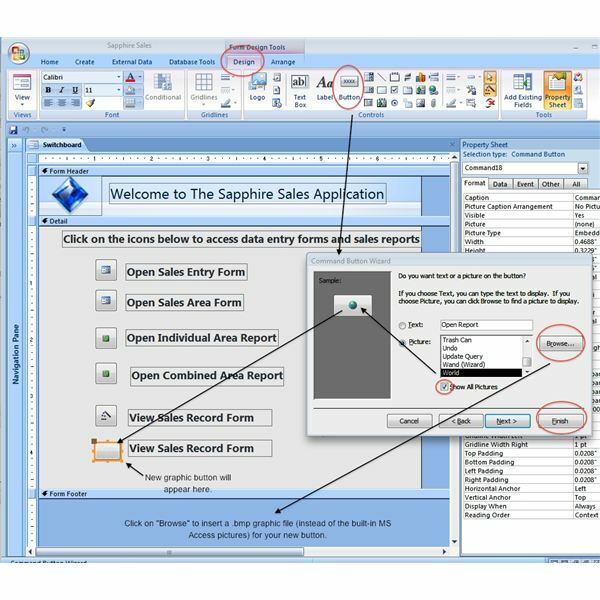 ♦ Open the switchboard form in Design View. 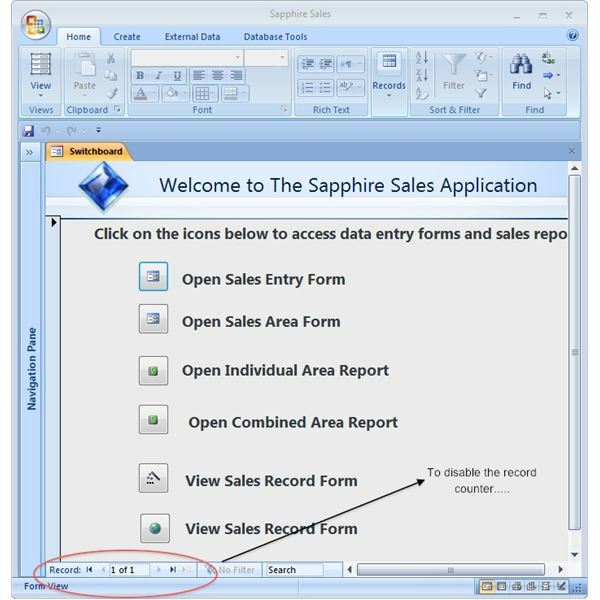 ♦ Open the Form Property Sheet by double clicking in the upper left hand corner below the form command ribbon. ♦ Select the Format tab/Navigation Buttons (19th item down between “Record Selectors and “Navigation Caption "). In the dropdown box in the right column, change the “Yes" to a “No." 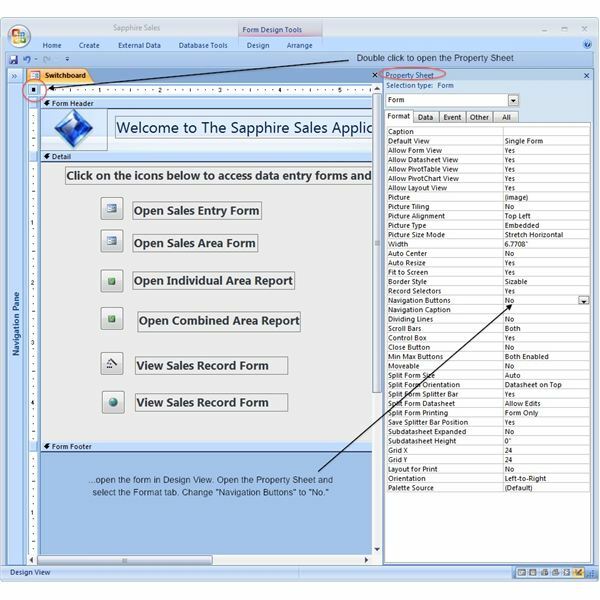 Microsoft Access 2007 switchboard forms help us streamline our database. They act as a “central hub” in accessing our forms, reports, queries, etc. This two-part series demonstrates (1) how to use the built-in wizard to automate switchboard creation and (2) how to make your own custom switchboard.